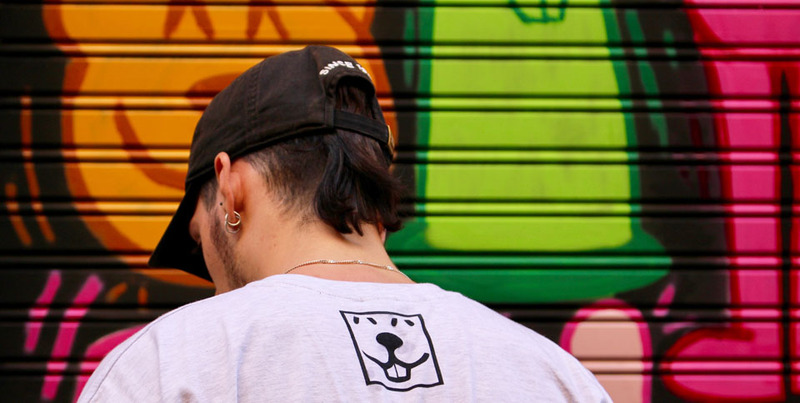 Born and raised in Madrid, I have always lived surrounded by graffiti and urban artists and a creative potential to reinvent the environment and thoughts of society through art and design. Always obsessed with knowing, continually questioning everything, thinking about it because, and trying to understand everything that surrounds me. I began to believe it possible to transmit this curiosity to society, which increasingly thinks less and lets itself handle more, through the walls of the city, by any technique and surface that comes to mind. Inspired by my deep commitment to the skate and surf culture and its intersections with the world of design. As a graphic designer and illustrator, I believe in art as a powerful communicative and reflexive tool, and for that reason I try to transmit my thoughts and ideas through my work. As for TakeTheTopo, it is an artistic/personal project in which I install, paste, paint moles (my character) in every corner of the places where I am, with the intention that people think, even for a moment stop and question everything in front of you (as if it were a social experiment), and also and not least I do it in the manner of a game and with a positive style to try to brighten the day to whoever finds them, and give them joy and color to the streets. Trying to transfer a positive thought to people and their environment.